This May 12, 2015, file photo shows Sesame Street's Grover in New York City. 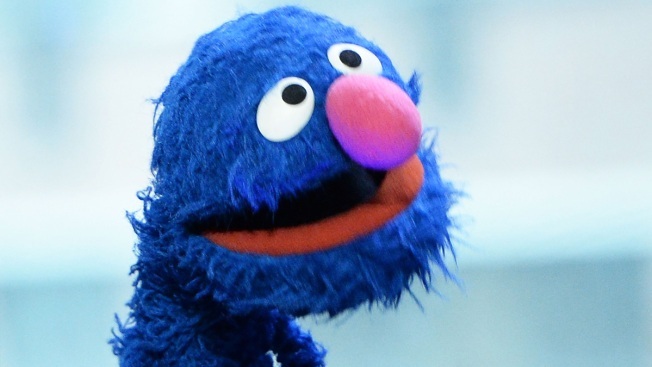 Forget what color the dress really is and the whole "Yanni vs. Laurel" nonsense...did Grover drop an F-Bomb on "Sesame Street"?! A video of the lovable, furry old monster talking to fellow Muppet Rosita on an episode of the hit children's show recently went viral after a fan shared it on Twitter, and people continue to debate whether he uttered a swear word. You may hear Grover say, "That's a f-----' excellent idea."